. In 1932, they joined Tod Browning’s cast of social misfits in “Freaks,” and in 1950, the Hilton sisters starred in the B-movie “Chained for Life” about their “loves and lives” as conjoined twins. 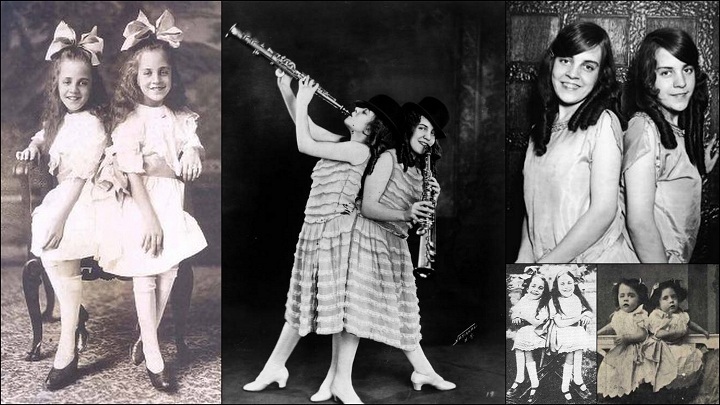 This entry was posted in light entertainment and tagged circus, freaks, hilton, light entertainment, show, siamese twins, sideshow, sisters, twenties, twins, USA, vaudeville by Mimi Berlin Amsterdam. Bookmark the permalink.